Lillie Pierce Voss, formerly of Hypoluxo, was the first non-Native American child born between Jupiter and Miami. As a child she learned to interact with the local Seminole Indians, and she learned to shoot, hunt, fish, and sail a boat as well as any boy. She was known as the Sweetheart of the Barefoot Mailmen, helping her mother cook breakfast for the mailmen and rowing them across the lagoon to the ocean beach where they would start their historic treks. 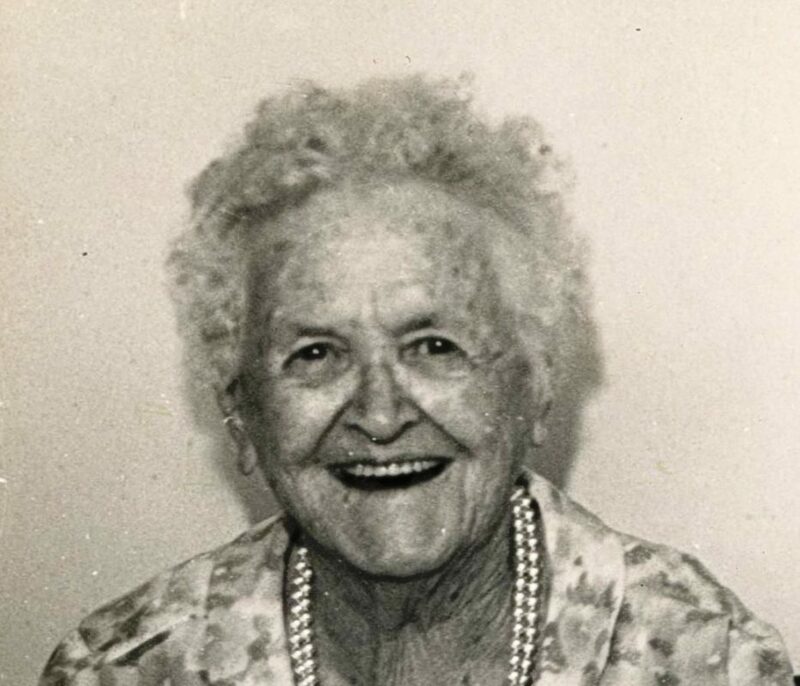 Her husband was a boat captain and steam engineer who ran steamboats up and down the South Florida coast in the late 19th and early 20th centuries. Together they piloted yachts between Palm Beach and New England for wealthy seasonal Palm Beach residents. Ms. Voss was a true pioneer and dynamic individual who helped build South Florida while raising her five children. She witnessed and participated in some of the watershed events in the development of Southeast Florida, raised a successful family, and survived a hard-scrabble existence in the wild, untamed frontier of Southeast Florida at a time when many male settlers could not survive. She was a smart, tough woman, and played an intricate role in South Florida’s colorful history.